Washington, D.C. — The DNC Rules and Bylaws Committee met in Providence, R.I. on Friday, June 8 and declared a new rule that allows the party to block presidential candidates from running on the Democratic ballot. The new rule means that a committee of corporate lobbyists, consultants, and people who participated in rigging the 2016 primary election will decide if a progressive is eligible to run for president in the Democratic Party in 2020. When Bernie Sanders or another progressive files to run as a Democrat, the DNC can reject them before a single vote is cast. The DNC gets to define what it means to be “faithful” to the party. It also gets to define what it means to be “a Democrat.” In both cases, the DNC is free to pick definitions that deny presidential ballot access to progressives, or interpret their definition as something that precludes progressive candidates. 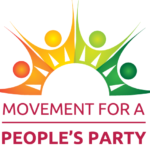 For months the Movement for a People’s Party has warned that the Democratic Party can change its rules at will to suppress progressives, making it impossible to take over the party. Specifically, it has warned that the DNC could apply a variation of its “Democrat in good standing” rules at the national level, used in certain states to control who can run in the party. The overwhelming majority of the DNC members already voted against a Sanders presidential campaign in their capacity as superdelegates in 2016. “Why wait till the primaries or the convention to cheat progressives out of the presidential nomination when you can just block them from running in the first place? Who needs 718 superdelegates to rig a primary election when an even smaller body of DNC members can just cancel it,” said Nick Brana, MPP founder and national director. Brana lobbied the superdelegates for Sanders on his 2016 presidential campaign. In April 2017, the DNC argued in open court that it is a private corporation with no enforceable obligation to run a fair and impartial primary. The DNC’s attorney said that the party is at liberty to, “Go into back rooms like they used to and smoke cigars and pick the candidate that way.” The Democratic Party has made its intention to rig the presidential primaries again in 2020 perfectly clear. Enough is enough. It is long past time that progressives stop legitimizing the Democratic Party. Nearly two-thirds of Americans are now calling for a major new party, and just as many are saying they won’t vote in the midterm elections because the establishment parties are so corrupt. It’s time to stop pretending that progressives can revolutionize this country by disregarding the will of the people. Building a major new party is challenging, but each day that we delay is another day that working people suffer.